Last time I was writing the focus was on stress and the brain... and one thing that I have reflected on since is the impact this has on you personally. That has lead me to thinking about self leadership. I am thinking that mastery over our thoughts is at the heart of self leadership. This is not necessarily an easy task. As we were talking in my last post when we are under stress our ability to access our higher cognitive functions is impaired, doors are shut or at least a little sticky, and the greater the stress the more likely we are to become bogged down in the red room of few options, the react rather than respond space. In order to gain mastery over our thoughts we first need to gain awareness of our thinking. I like to think that there is a little portion of ourselves watching what we are doing with dispassionate fascination, and if we can tap in to that little watcher we are better able to recognise our own thoughts. 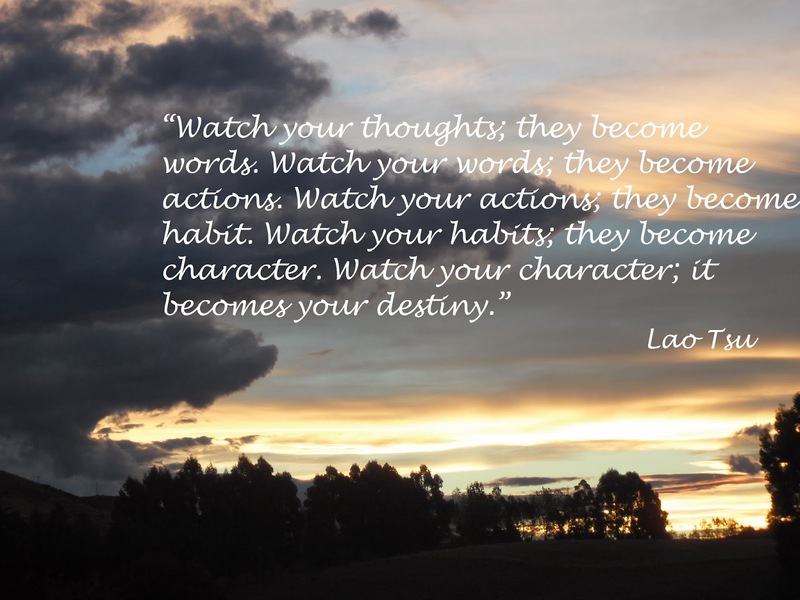 We can watch our thoughts at different times and in different situations, we can then become better predictors of our behaviour. This awareness also comes down to hearing how we talk to and about ourselves. Without self awareness it is too easy to become an enemy within. The negative self critical voice can start quite young, we can hear children say things like... 'I can't do that' and 'I am bad at maths' (or an alternative subject/task), worse still we hear things like 'I'm stupid' or 'I'm dumb'. As we go on this voice might say things like the following to us 'you don't deserve love', 'you are unworthy', 'everyone is against you', 'you always screw things up' etc. (We wouldn't talk to our best friends like this!) This voice often becomes louder when we are not operating from our thinking room, and we are less able to offer it a strong counter argument so it can be quite convincing if we are not mindful. If we have greater self knowledge we will better know those things that build us up and those that break us down. When we are faced with stressful situations we can bring into action those things that build us up which will help to quieten that negative voice. When we are in a situation where we are working with things that are bringing us down we can challenge our own self judgements and again harness the energy of what builds us up. It comes down to being aware... of ourselves and the environment around us and taking action when we can. Be mindful and become your own best friend as part of the journey to self leadership.